With this vision a luxury line of natural soy candles, inspired by nature, was created. To tell our story it all began with a little creature that kept showing up during meaningful times in our life. This creature is now the inspiration for our brand. 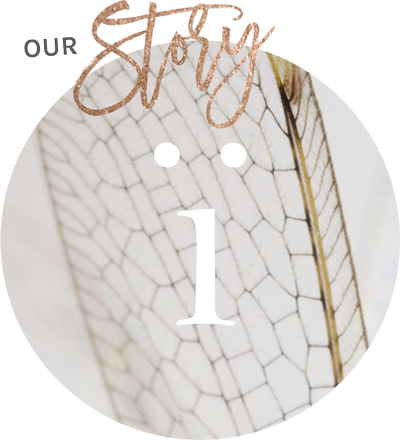 The dragonfly; a symbol of courage, strength and happiness, shares the values that we believe are important to finding balance in life and chasing your dreams to do what you love. With elegance and grace the dragonfly inspires us to live in the moment. To be aware of who you are, where you are, what you are doing, and to make informed and considered choices on a moment-to-moment basis. This is why our candles are made with the love and care of being locally hand-poured in the place we love the most, Australia. It’s why we use the finest natural soy wax and handpick indulgent scents. It’s also why we care about our world around us and make sustainable choices. We take time to create something special that we hope you will enjoy. Indulge in the purity of an Innoscent Natural Soy Candle & live in the moment.